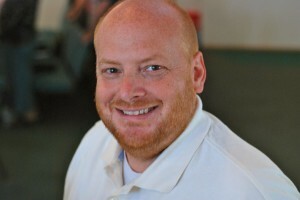 In September of 2010, I became the pastor of Singing Hills Christian Church in Hillsboro, OR. We moved here from a great ministry at Cornerstone Community Church in Nowata, OK.
Over the years, I have spent more time in school than almost anything else. I guess I just didn’t know when to stop. I went to Manhattan Christian College for my undergraduate and then proceeded to get two Master’s degrees from Johnson Bible College and Southern Christian University. Finally, in 2009 I finished up a doctorate at Western Seminary in Portland, OR. I am married to my best friend and we have three daughters together. In July of 2012 I resigned from Singing Hills because the elders asked me to. I am now a very well educated, very theological knife dealer. I will continue to update this blog as my heart and my soul are still deeply connected to Christ and His Kingdom. This blog is a place where I can think out loud. I am planning on processing some theological thoughts as well as some much more shallow ones. I invite you to take part in the conversation that happens here. I found this out last night when Wendy was sharing her journey with us & I was floored. She said you wanted to know if what you did mattered. My only answer is yes. I wish I could write something profound to let you know who you are and what you do matters. I refused to believe that you are in the knife business full time. I cannot think of a world where you are not out there teaching people.. love God, love people. I am going to steal the words of Jan… Jesus loves you and so do I!! Thanks Robbie. It means a lot to hear from people who found value in my ministry. What were the things that occurred that you can’t get past? Thank you for doing this blog. It has helped us deal with our anger that such a thing could have happened in a Christian Church. No compassion, no love, no reasons for it, just deal with it, it was our decision! We are still feeling guilt because we were part of a body of people that allowed it to happen. We are now feeling that God has another plan for us and it does not have us finding another church. We miss the people at Singing Hills and are still fortunate to still have some as friends. We miss you as our Pastor and send our love to you and family. Thank you! I wish you well. Singing Hills has many wonderful people–you are numbered among them. Missing your posts. Is all well? Listened to you speak at Village yesterday. I was so engrossed with your teaching that halfway through I realized I wasn’t taking notes (as I normally do for helping my wife understand later). You opened my eyes to a part of the Bible I had not seen before, no matter how many times I had read and thought I understood (John the Baptist really doubting his faith??) You touched me deeply with your message and story. Like Job’s friends, I wanted to share your sorrow by simply being with you. No words could express the moment, and none were needed. Thank you. You are definitely “A” string! I have a daughter. She is an adult making her own choices. I am her biggest fan. While scholastic education and life experience are both beneficial, staying connected to Christ and His Kingdom is crucial. We shall see what she will choose. Pray, it works.